Choosing the right tile purely on the basis of photos can be tricky. You can more easily judge the colour, quality, and design if you can see the tile in the context of a complete tiled surface. 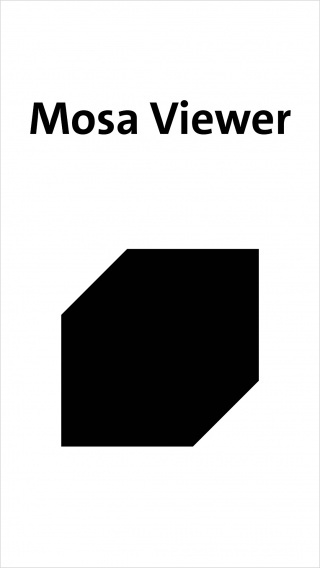 The Mosa Viewer allows you to experience the tile within a space, giving you a broader impression. 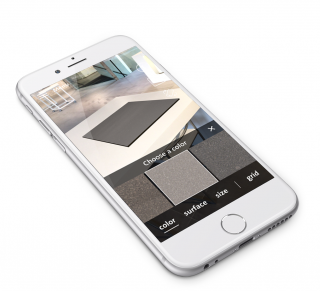 The Mosa Viewer is an Augmented-Reality app that you can use to experience a tile or tiled surface in detail in the desired colour and/or format. You can also project a tiled surface into a space and change the grid. The Mosa Viewer also incorporates Virtual-Reality technology. 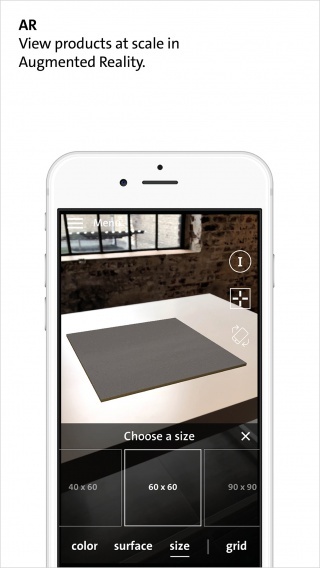 This gives you a 360° picture of tiles in situ in an existing project. 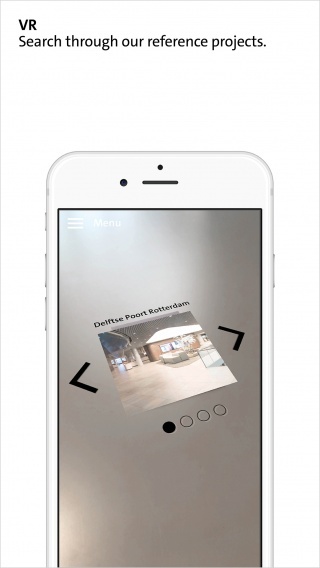 The app can be used with or without a VR headset. 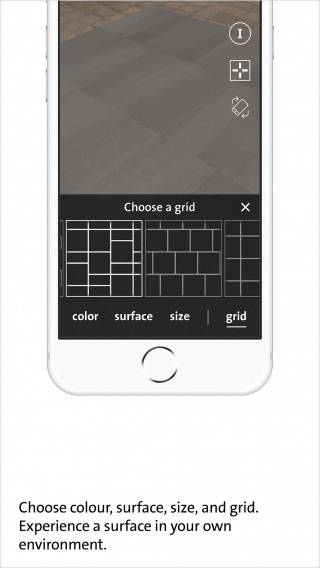 The Mosa Viewer enables you to view all available tile sizes and grids of a specific colour. All patterns you find in the app can also be found in the Mosa Pattern Generator and directly put in your CAD or BIM software. 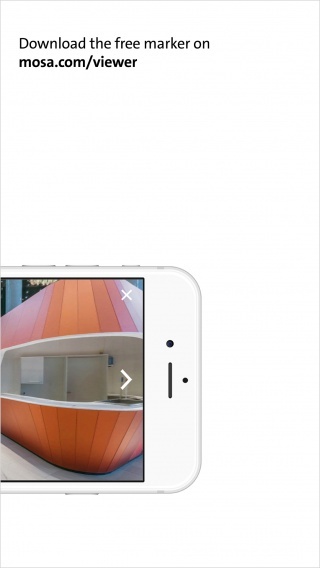 The app also enables you to experience how the tile matches other products by viewing it next to other objects in the space. A tiled surface in situ offers a good impression of the product’s spatial properties and how it interacts with light and other objects in a space. The Mosa Viewer gives you the opportunity to virtually visit a number of Mosa reference and experience this yourself. Do you want a Solids 3D experience or a 360° tour of applied tiles in a few of our reference projects? 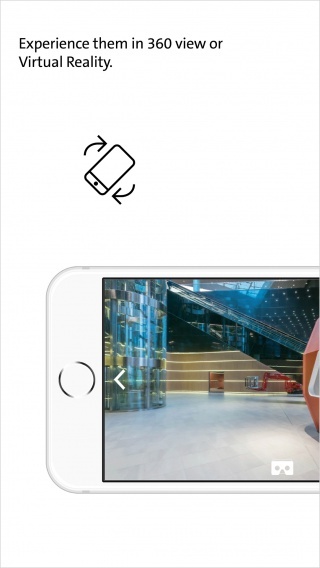 You need the Viewer markers to activate and use the Mosa Viewer app. You can use our online form to request the markers. A download link will be send to you.